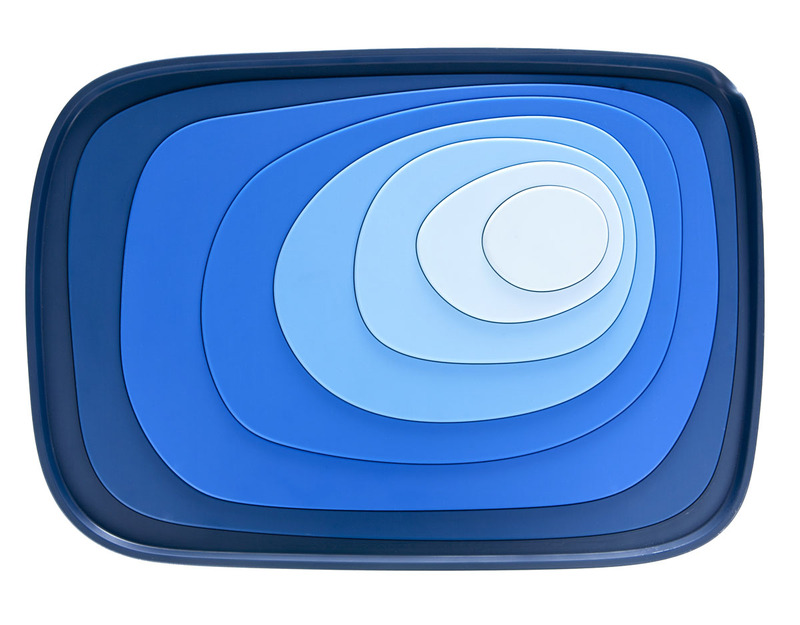 A wonderful Pantone color rendering as a dish drainer. 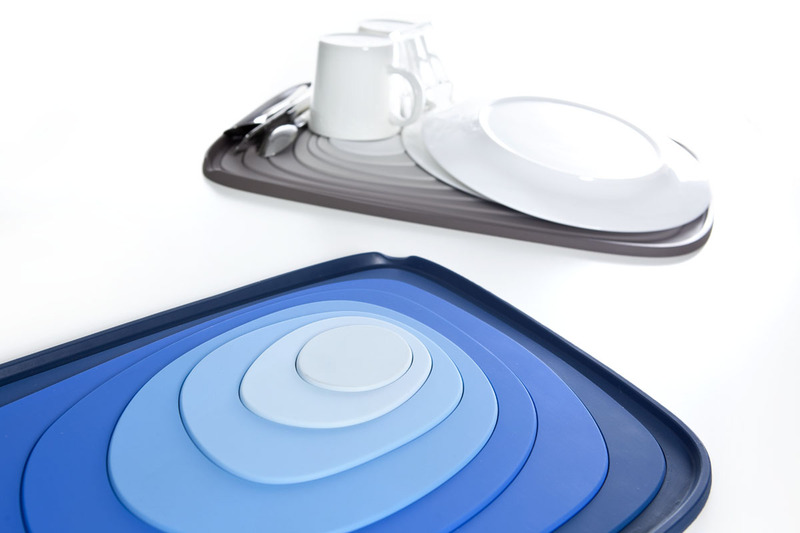 The Geo Dish Drainer offers a timeless contemporary modern look, ideal for use in the kitchen, next to the kitchen sink. 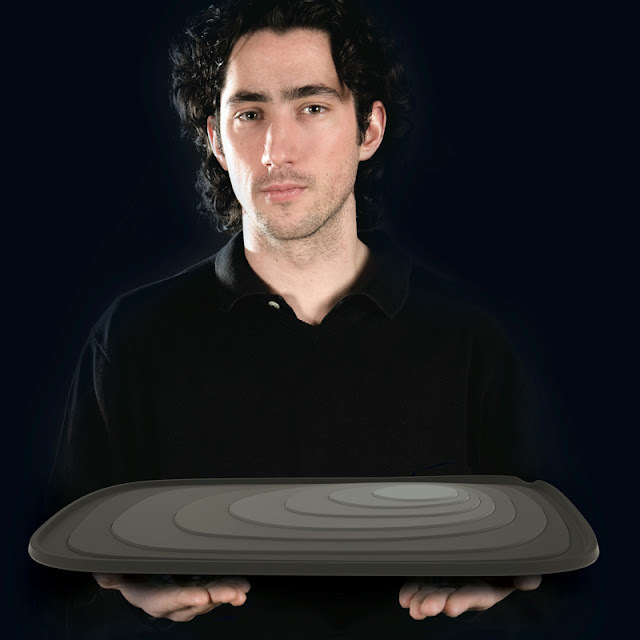 The beautiful Geo Dish Drainer designed by Dutch designer Jorre van Ast is the most amazing kitchen accessory! The breath-taking decorative and functional dish drainer is available in two color compositions, either blue or warm grey. The Geo Dish Drainer is an exceptionally sculptural everyday kitchen accessory that successfully fuses art and function in an extraordinary way. Is the dishwasher almost full or do you have a number of items that you prefer to wash by hand? The Dish Drainer Geo has been designed especially to drain this small amount of washing-up. 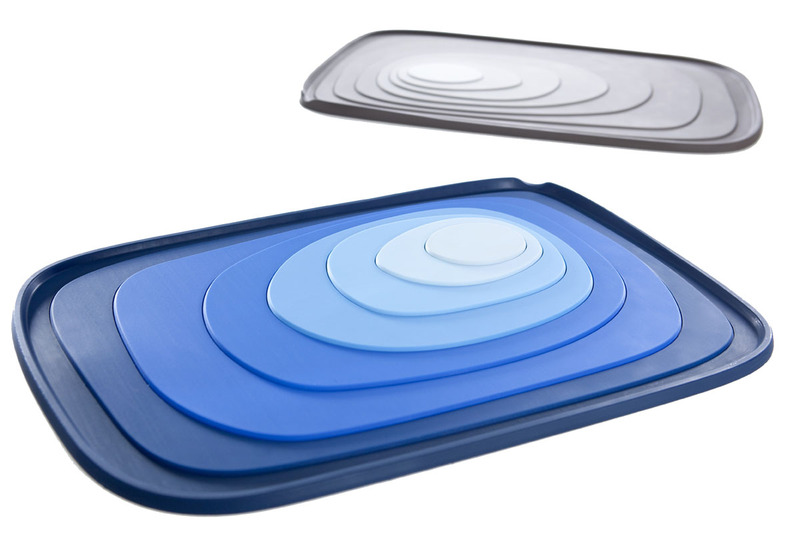 The Dish Drainer Geo is a splendidly designed mat; the subtle height differences in the design will ensure that the water will easily drain off. 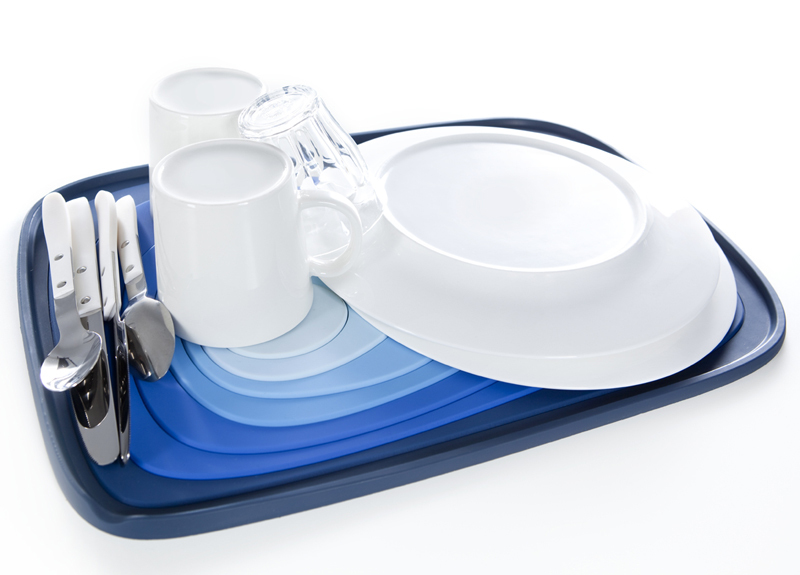 The Dish Drainer Geo means it is no longer necessary to use a large dish drainer which is awkward to store. The Dish Drainer Geo is flat and takes up very little space. It can be put away if required, but that really isn’t necessary because its design, inspired by geographical contour lines, ensures that it blends harmoniously into every interior.